Home Legal Estate Planning What is a Trust Fund? Trust funds are set up as legal entities for the benefit of group or individual. The following is a look at what is a trust fund. A trust fund is a legal entity that holds some type of assets that another person or group will benefit from. The person who receives the benefit of a trust fund is known as the beneficiary. The trust fund is created by the grantor, who is also called the donor. Someone, a person or another entity, oversees and manages the trust. This person is the trustee. The grantor can name more than one trustee. The trustee plays a large part in the administration of the trust fund. With a simple trust fund, the trustee will only disburse income to the beneficiary. With a complex trust fund, the trustee may have more responsibility in determining how to distribute the trust fund. When you appoint a trustee, set an agreement on how the trustee will be paid. If a bank or trust company manages the trust fund, they may charge a certain percentage of the trust’s value for the work involved with managing the trust fund. Individual trustees may charge an hourly rate or a flat fee. Most people assume trust funds are only for rich people, but there are many reasons a less-wealthy person might establish a trust fund. For example, a trust fund can be used to provide income for minor children. It can also be used to provide income for yourself if there’s a time that you’re not able to manage your own assets. Trust funds are useful in estate planning because they can be used as vehicles to easily transfer your assets to your beneficiaries when you die. Putting your assets in a trust fund can also protect them from costly estate taxes. Money in trust fund might even be used to pay estate taxes. As the name suggests, an after-death or testamentary trust fund will be created upon your death. Even though the assets will eventually be placed in the trust fund, they still must go through probate because the trust was not created before your death. 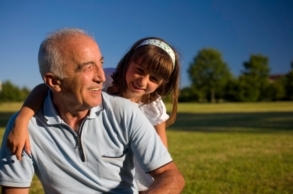 You might set up a trust in this way if you need to pass money to an under-age beneficiary. A living or Inter Vivos trust fund is created while you’re still alive. Your beneficiary can even receive income from the trust fund. If you’re setting up a trust fund for a young child, you can put age restrictions on the fund that keeps minors from taking out a large amount of money. You might even specify that the child doesn’t receive any money from the trust fund until he goes to college, graduates from college, or reaches a certain age. You can specify that a living trust is revocable or irrevocable. A revocable living trust can be changed while an irrevocable trust can’t be changed. Though you’ll have to pay an estate attorney to put together the paperwork, you’ll typically save money with a living trust because the assets will avoid probate, a process that can be expensive. Because trust funds are often invested in stocks, bonds, CDs, and other types of investments, the size of the trust can grow before the beneficiary receives the trust and even while the beneficiary receives income from the trust. The trust may be subject to federal income tax if the trust receives more than $600 in income. The trust has to file Form 1041, U.S. Income Tax Return for Estates and Trusts. Taxes for trust funds are similar to those for individuals and can receive credits and deductions that reduce the tax liability. You can’t avoid taxes by assigning income to a trust fund. Certain types of trust funds can receive credit for charitable contributions.